The Center for the Study of Southern Culture began in the mid-1970s. Dedicated to strengthening humanities teaching and scholarship at the university through the exploration and documentation of the American South, a committee of the school’s faculty and administrators began planning the Center for the Study of Southern Culture in 1975. In 1976 the National Endowment for the Humanities awarded the University a consultant grant to aid in the planning, and in November of 1977 a three-day Eudora Welty symposium, featuring the author herself, marked the opening of the Center. The interdisciplinary nature of the Center has since its founding drawn students with a diverse range of interests who go on to pursue many different fields, both scholarly and in the arts, humanities, social justice, law, and business. Throughout its history, the Center has emphasized its academic program as the foundation of its work. A National Endowment for the Humanities curriculum grant led to the creation of a Bachelor of Arts program in Southern Studies, which now enrolls 40 undergraduate majors, and the University of Mississippi supported the program through the appointment of faculty working in the Southern Studies program and in tenure-granting departments. In 1986 the University established the Master of Arts program in Southern Studies. It remains the only Southern Studies MA program in the world, and now enrolls 30-35 students. Students benefit from a combination of courses in Southern Studies and courses from a range of other classes and encouragement to pursue interdisciplinary work. Since the 1980s over 400 students have completed Southern Studies degrees, and many more University of Mississippi students have taken Southern Studies classes. The Southern Studies faculty consists of scholars in history, English, sociology and anthropology, documentary studies, and, beginning in the fall of 2014, foodways. In 1997 James and Madeleine McMullan added to the strength of the program by establishing an endowment to support two joint Southern Studies professorships, one in literature and the other in sociology and anthropology. Much of the Center’s early recognition as a leader in the examination and study of the South came with the award-winning Encyclopedia of Southern Culture published in 1989 by the University of North Carolina Press and edited by William Ferris and Charles Reagan Wilson with Ann Abadie and Mary Hart as associate editors. The Encyclopedia helped identify the Center as an institution that studies all people, places, and topics in the South and helps disseminate the best contemporary scholarship. 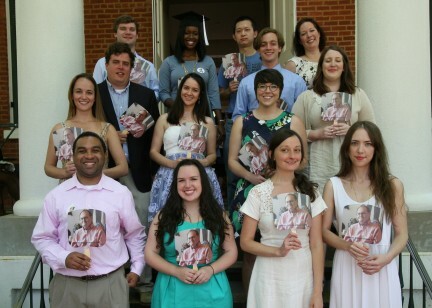 Publication of The New Encyclopedia of Southern Culture was completed in the spring of 2013. This edition was published in a series of 24 individual volumes, beginning with “Religion” in 2006 and concluding with the final two volumes, “Folk Art” and “Race,” published in May 2013. In 1978 William Ferris was named director of the Center, and under his 20-year tenure, the University of Mississippi became internationally recognized as a leader in the examination and study of the South. Professor of History and Southern Studies Charles Reagan Wilson became Center director in 1998, when President Bill Clinton appointed Ferris chairman of the National Endowment for the Humanities. Ted Ownby, a member in the Southern Studies and History departments since 1988, became the Center’s third director in 2008. Documentary Studies has long been a particular strength of the Center. David Wharton heads the documentary studies program, working with Southern Studies students who learn how to use photography, film, audio, and oral history to document individuals and communities. In 2011 Southern Studies formalized a partnership with the university’s Media and Documentary Projects program, which had already worked closely with the center to make foodways films and to teach courses in documentary filmmaking. This division of the Center is now called the Southern Documentary Project and is led by Andrew Harper. The Gammill Gallery in Barnard Observatory provides a venue to display faculty and student work, as well as photographs from across the region. In the summer of 2016, the Center launched a multimedia documentary website called Mississippi Stories. The site features documentary work in all forms (film, photography, audio, and oral history) by Center students, faculty, staff, and alumni. The Center remains a hothouse of ideas about the American South, as seen in the production of publications for a wide audience. In 2013, the Center completed the New Encyclopedia of Southern Culture a series of 24 paperback volumes published by the University of North Carolina Press. In addition, Center staff have partnered with the Mississippi Humanities Council, the Mississippi Department of Archives and History, the Mississippi Arts Commission, and the University Press of Mississippi to produce the Mississippi Encyclopedia, which was published in May 2017. The Center’s book series, New Directions in Southern Studies, published by the University of North Carolina Press, publishes innovative new interdisciplinary studies on the region. Center faculty share the goals of leading current scholarship while also understanding past scholarly approaches, and they continue help to set our publication agenda through their works in history, literature, the social sciences, and documentary studies. For many years, the Center has spread news of its work through its newsletter, the Southern Register, edited until her retirement by Associate Director Ann Abadie and now by Associate Director for Publications Jimmy Thomas. The Center created the journal Study the South in the summer of 2014. The peer-reviewed journal will include a variety of works by institutionally affiliated and independent scholars. Like the Center for the Study of Southern Culture, Study the South embraces a diversity of media, including written essays with accompanying audio, video, and photography components; documentary photography; and film projects. The Center’s outreach projects are part of its distinctive character, bridging the gap between scholarly research and broad audiences interested in the American South. Since its founding, the Center has sponsored or cosponsored annual events exploring topics ranging from music to Faulkner, the Oxford Conference for the Book, and other public events large and small. A recent partnership with the Department of History and the African American Studies Program has led to the Gilder-Jordan Lecture Series in Southern Cultural History. Associate Director for Projects, Becca Walton, organizes many of the Center’s outreach activities. Since the 1980s Center faculty and staff have often taught summer programs for teachers. In 2012 it led a Gilder-Lehrman Institute program on Race and Ethnicity in the Modern South, it led several programs with the Library of Congress, and it runs an annual summer workshop on foodways oral histories. The first documentary film workshop took place in the summer of 2014. The Southern Foodways Alliance was created as an institute of the Center in 1999, and its annual symposium brings enthusiastic students of food to campus each fall. With a mission that “documents, studies, and celebrates the diverse food cultures of the changing American South,” the SFA has gathered nearly 900 oral histories, produced 50 documentary films on foodways, and encourages thoughtful discussion of food and culture through publications, public events, and university classes. The Center has long been associated with the study and presentation of Southern music, especially the blues. Living Blues, which moved from Chicago to the Center in 1980, remains the premier blues journal, and the Blues Today Symposium, which the Center inaugurated in 2003 with a keynote address by critic Stanley Crouch, helps support its work. The University’s Blues Archive attracts scholars from around the world. Highway 61, a weekly radio program on the blues, is produced by the Southern Documentary Project, and the Sounds of the South radio spots, based on music entries from the New Encyclopedia of Southern Culture and narrated by Charles Reagan Wilson, play on public radio stations. Beginning in 2012, Music of the South Conferences have explored such topics as innovation in southern music and songwriting. In 2012, a symposium celebrated the 25th anniversary of the Southern Studies MA program with a conference and concert, all staffed by student and faculty alumni of the program. Begun in the fall of 2012, the Music of the South Concert Series is a partnership with the Gertrude C. Ford Performing Arts Center on the University of Mississippi campus. The series, which highlights intimate evenings with Southern performers, takes place in the Ford Center’s Studio Theater, a space that seats 150. Other new initiatives address the contemporary South, including sponsorship of symposia on the Global South. In 2004 the Center began new efforts to explore connections between the humanities, economic development, and public policy in the South with the Future of the South Symposium. Funded in part by a challenge grant from the Hardin Foundation, the first event, entitled “The American South: Then and Now,” has been followed by symposia on community-building in the South, the humanities and Hurricane Katrina, the one-year anniversary of the Gulf Oil Spill, the future of Southern Studies as a field, and events that featured individuals such as journalist Cynthia Tucker and Children’s Defense Fund president Marian Wright Edelman.